Having a skin condition is stressful. Especially when it's a skin problem that has stumped experts in terms of what causes it. Rosacea is one of the most common skin diseases and can be difficult to treat. We've put together a list of natural remedies for rosacea that you can use to lessen symptoms. Find out more about the condition and uncover natural ways you can improve the look and feel of your skin. Rosacea is a skin disorder that causes redness, inflammation, broken blood vessels, and acne-like breakouts. The skin disease typically starts out on the nose and cheeks but can spread as far as the chest and ears. This type of rosacea is distinguished by acne-like breakouts that form on the skin. The pustules typically emit a clear discharge, making them distinct from traditional white or blackheads. Ocular rosacea affects the eyes and eyelids. The rosacea can mimic the look of a sty and other eye infections, making it difficult to treat and diagnose. Ocular rosacea symptoms include swelling of the eyelids, itchy and dry eyes, as well as redness of the skin. This type of rosacea features the hallmark redness of the disease as well as thick, bumpy skin texture. For many patients, the thickened skin first appears on the nose but can spread to cheeks and even eyelids. People who suffer from rosacea have higher concentrations of Demodex mites on their skin than those who do not have the condition (1). Demodex mites are a natural component of human skin. These mites feed off the surface of the skin and generally don't cause any harmful side effects. Researchers don't know if higher concentrations of the mites are an underlying cause of rosacea or if the mites simply thrive better on skin that is affected by rosacea. People with fair skin tend to develop rosacea at much higher rates than those with darker skin tones. While this may not be a direct cause of the disease, it is something that seems to affect pale skin more dramatically. Some research has shown that the H. pylori bacteria may be behind the development of rosacea (2). The bacteria is found in the gut and produces a peptide that causes blood vessels to dilate. This, in turn, causes flushing and increases the risk of blood vessel breakage—two hallmarks of rosacea. As with most medical conditions, researchers believe genetics could play a role in the development of rosacea (3). Research shows that people who have a close relative who suffers from rosacea tend to have a higher risk of developing the condition as well. While the above may cause or lead to a higher risk of developing rosacea, researcher shave also identified several triggers that may worsen the skin condition. Eating spicy foods, sun exposure, and allergic reactions to skin care products are among the most common triggers. Temperature extremes, excessive wind, and humidity, as well as hot baths and saunas, can also trigger symptoms. Alcohol, caffeine, and foods that are hot in temperature may also cause symptoms to appear or worsen. In addition, some medications may cause rosacea flare-ups. High blood pressure drugs and long-term use of corticosteroids—which are used to treat inflamed skin—can also make the situation worse for rosacea sufferers. Topical application of green tea can help soothe flare-ups and reduce inflammation and redness. Research shows that helps treat inflammatory skin conditions thanks to polyphenols and antioxidants such as EGCG (4). Green tea has very few side effects and can be applied directly to affected areas to provide relief from rosacea symptoms. Essential oils contain antibacterial properties and moisturizing properties that can help treat rosacea. Tea tree oil, in particular, is effective in controlling Demodex mites, reducing redness, and alleviating itchiness. Tea tree oil is also effective for people who suffer from ocular rosacea. 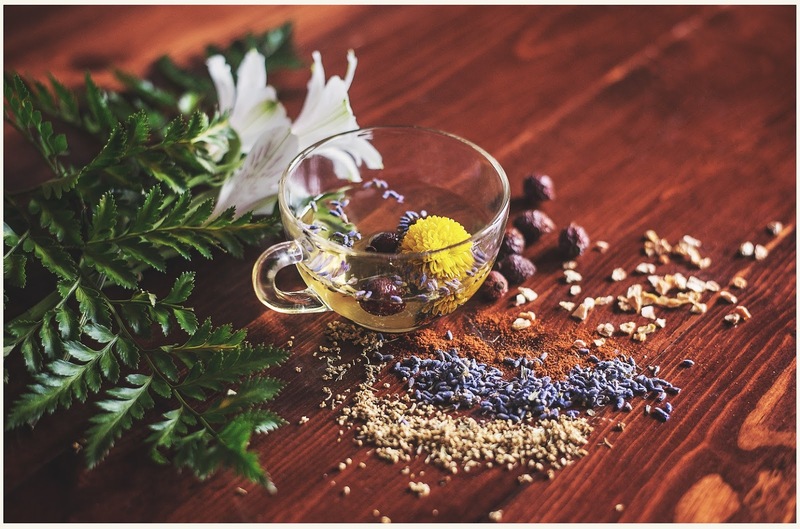 One study found that patients with ocular discomfort caused by Demodex mites reported significant improvement after using a tea tree oil scrub topically for one month (5). Never apply tea tree oil to the skin without using a carrier oil. Tea tree can cause significant irritation on sensitive skin so use sparingly. Feverfew has long been used to treat skin problems. It is chock full of antioxidants that help to protect against skin damage caused by free radicals and sun damage. Add feverfew to your daily regimen of sunscreen to help prevent sun damage and flare-ups. 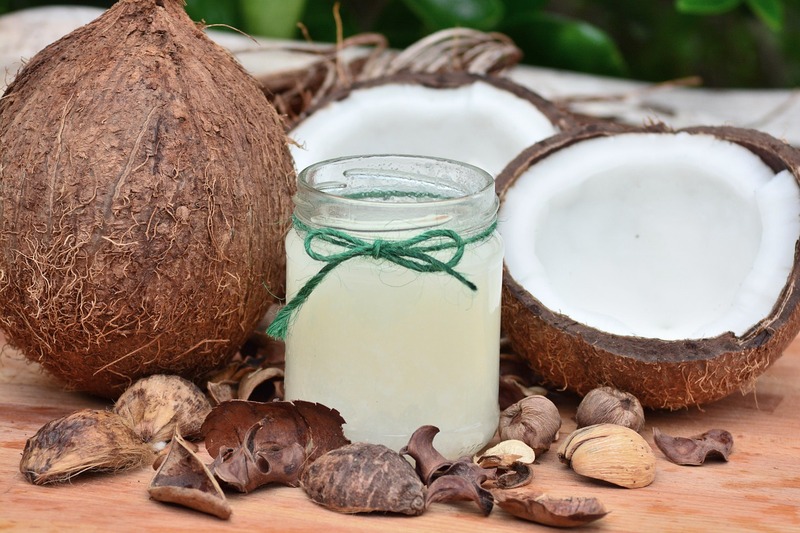 Coconut oil can be used to increase skin's moisture content and reduce irritation caused by redness and inflammation. It won't cure rosacea, but it can make your skin look more luscious and healthy when used consistently over time. Coconut oil is a carrier oil so it can be applied directly to the skin without causing irritation. Aloe vera is a natural emollient—it naturally protects, soothes, and lubricates the skin. Aloe vera has natural anti-inflammatory properties that help to soothe the skin and reduce redness. It's best to use aloe vera from a live plant, but you can also use a moisturizer for sensitive skin that contains aloe as an ingredient. Dry skin and harsh weather can make rosacea worse. Using raw honey when the weather turns south or when your skin is feeling particularly dry can help prevent flare-ups. A randomized clinical trial found that high-quality medical grade kanuka honey was effective in treating rosacea (6). The study required patients to apply the honey topically every day for eight weeks. For best results, apply honey to your skin regularly or use a moisturizer that contains honey as an ingredient. 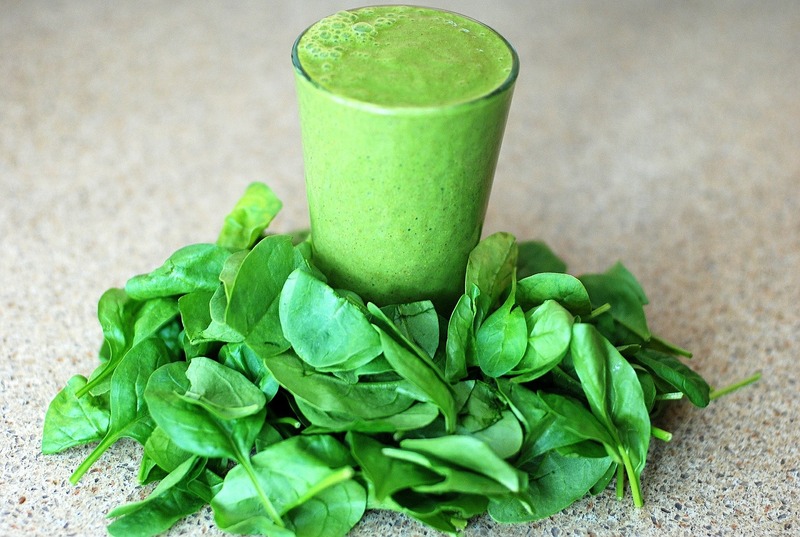 Eating leafy greens can help improve overall health and the look of your skin. Rosacea can be triggered by salty foods and unhealthy diets. Adding more leafy vegetables to your daily intake can help combat inflammation and reduce the presence of free radicals thanks to healthy antioxidants. Vitamin B has long been a staple ingredient of cosmetics and skin care products. Niacinamide is a B vitamin that prevents skin flushing. Research shows that blood vessel dilation is caused by deficiencies of vitamin b, selenium, and magnesium (7). Taking supplements can help treat rosacea by solving any imbalances in the gut. Rosacea can make skin extra sensitive. Use skin care products that are dermatologist tested to avoid aggravating sensitive skin. Use gentle cleansers to wash your face each morning and apply a facial moisturizer formulated specifically for rosacea-impacted skin. French brands such as La Roche Posay and Eau Thermal Avene both make high-quality creams that are designed to soothe and treat redness-prone skin. Avoid using skin care products that contain alcohols or other skin irritants such as sulfates, which can make rosacea worse. Make sure to apply moisturizers and serums after applying any medicated creams designed to treat rosacea. Since exposure to the sun can trigger symptoms, it's a good idea to wear sunscreen every time you step outdoors. Use SPF 15 at a minimum and apply liberally to skin 15 minutes before any sun exposure. 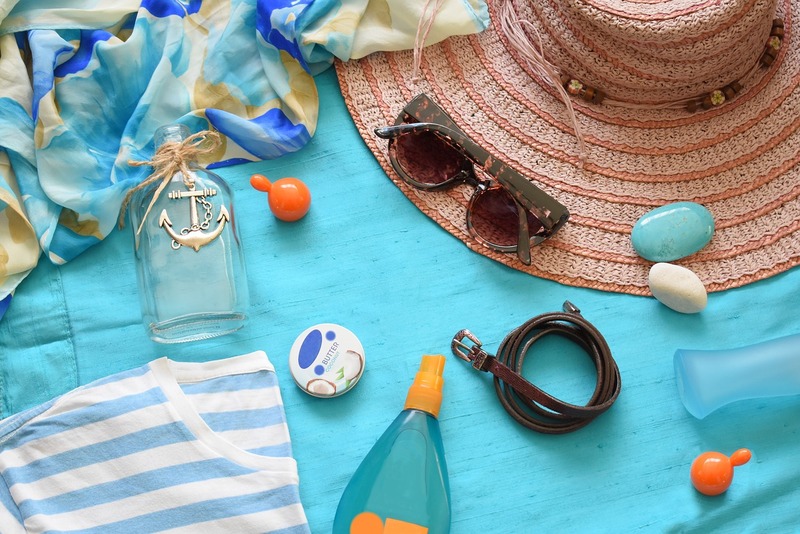 Try to limit your time spent in the sun and wear a hat and protective clothing to prevent flare-ups. Rosacea affects each person differently. Identifying your specific triggers can help lessen flare-ups. Draft a list of foods and conditions that make your condition worse. Avoid these triggers as much as possible and use home remedies to counteract any triggers you can't avoid entirely. Stress makes most health conditions worse and rosacea is no exception. Try to minimize the amount of stress you experience in your daily life. Diffuse essential oils such as lavender oil to increase relaxation or add a few minutes of meditation to your day. It can be hard not to stress when your skin is out of whack, but remember that stress only makes it worse. Rosacea is estimated to affect 16 million Americans so you're not alone (8). Rosacea is a skin condition that experts don't fully understand the cause of. Fortunately, you can treat symptoms naturally by eating anti-inflammatory foods such as leafy greens and using skin care products designed for sensitive skin. Avoid triggers that make your skin condition worse and try to reduce your stress levels and sun exposure. For severe cases, talk to your doctor about prescription options if natural remedies don't seem to be working.